Dr. Lam is a Board-Certified Oral and Maxillofacial Surgeon. Dr. Lam was born and raised in Toronto, Canada. Following high school, she moved to California to pursue an accelerated dental program at the University of the Pacific in San Francisco, where she earned both her bachelor’s and D.D.S. degrees within six years. After relocating to the East Coast, she completed a general practice residency at Kings County Hospital Center, a premier Level I trauma hospital in Brooklyn, NY. Subsequently, she went on to first complete an internship in Oral and Maxillofacial Surgery and then a four-year Oral and Maxillofacial Surgery residency training program there. During this time, she served as chief resident. Dr. Lam is well trained and highly proficient in office-based Oral and Maxillofacial Surgery, including dentoalveolar surgery, dental implants, and bone grafting. Having gained valuable experience during her general practice residency, she is well versed not only in the surgical arena but in the restorative aspect of patient care as well. 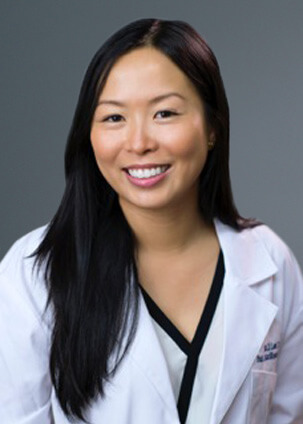 Additionally, Dr. Lam is on staff at Staten Island University Hospital, where she enjoys participating in resident education and performing OR-based surgeries.